If you are drinking anything besides plain water and thinking you are doing a great job getting your daily requirements, think again. You need to be drinking half your body weight in ounces a day. This means if you are 120 lbs you need 60 ounces or 7.5 cups of water a day or more. But the question remains, why do we need water? 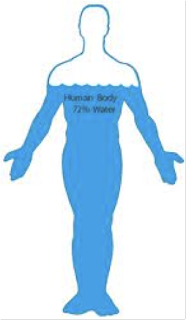 Our bodies are made up of 50-80% water depending on age and is used in nearly every bodily function. 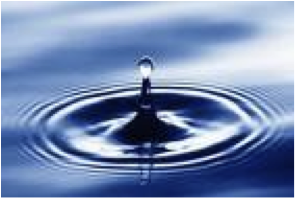 The essential role of water is why we need to main a healthy ratio within our bodies. There is a significant amount of water in our blood, brain, lungs, and muscles. The water in our bodies help us regulate temperature and help with the transport of nutrients throughout the body. Drinking water also helps with cleansing and detoxifying, digestion and metabolism, replacing fluids after exercise, enhances fat loss, and hydrates skin. Overall, water is critical to our survival because of all the vital functions water has within our body. Wait… so soda doesn’t count as water? It is important for our bodies to receive water by itself because drinks such as soda and alcohol actually take water from the body and drinks such as coffee, milk, and juice require water to help with digestion. What to do to increase your water intake? It’s smart for both children and adults to carry around a water bottle with them to get in the habit of continuously drinking water. By using a water bottle you can easily see how much water you have been drinking throughout the day and can help create goals for yourself until you reach the correct amount of consumption. There are some people who get tired of plain water and for those people it is okay to add a little lemon for flavor (but note that drinking lemonade is not the same). If you are thirsty this is your body’s signal that you need water intake and that you are on your way to dehydration. Also, if your pee is dark yellow then this is usually a sign that you should drink more water.